A group of talented and dedicated students signed up to take a Creative Writing class. I was blown away by the ambition, quality, and power of their work. This gifted team of writers published a literary magazine that collected the creative writing and artwork of students across the school. 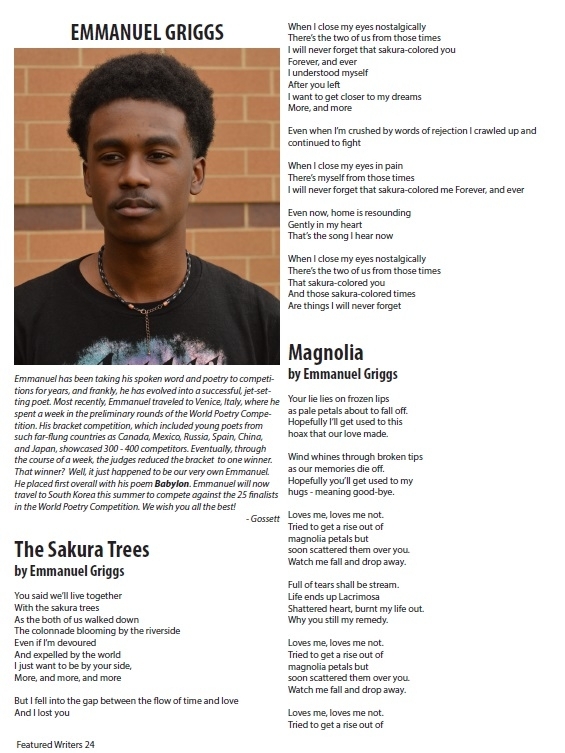 Below are the artists who made the Literary Magazine happen through their dedication and creative expression. Writing, in its entirety, has been more than just words on a page. 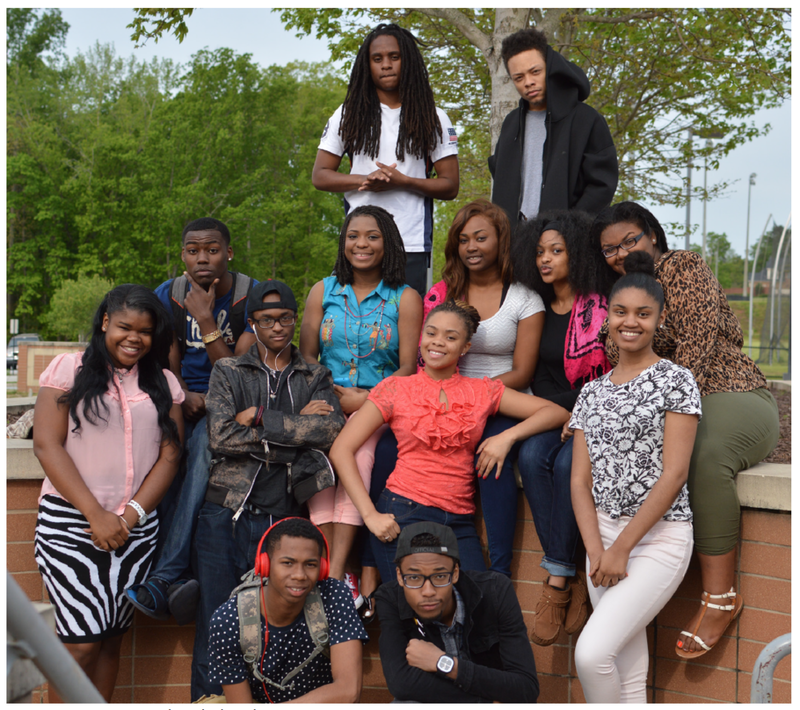 Writing for this group of talented teens has grown into a portal to the untapped places in the mind. We have taken the time to dig into our inner thoughts and imaginations to paint pictures of worlds never seen before. Each element included in the magazine includes a little piece of the author and/or illustrator’s heart.